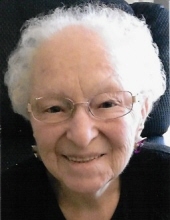 Carol Rae Pick, age 82, of Remsen, Iowa died January 26, 2019 surrounded by her family. Funeral service will be 10:30 a.m. Wednesday, Jan. 30, 2019 at Christ Lutheran Church LCMS in Remsen, with Pastor Garret Kasper officiating. Burial will follow in the St. Mary’s Cemetery in Remsen. Visitation with family present will be 4-7 p.m. with a prayer service at 5 p.m. Tuesday at Fisch Funeral Home & Monument in Remsen. Visitation will resume 1 hour prior to the funeral on Wednesday at Christ Lutheran Church LCMS. Carol was born on June 2, 1936 to Roy and Doris (Ropte) Wright in Union Township. Carol was raised on a farm in Union Township and received her education from Union Consolidated in Union Township and graduated from Kingsley High School, in 1955. Carol married Darold Pick on June 2, 1955 at Remsen St Mary’s Catholic Church. Carol was a homemaker until Darold’s death in 1983, then she worked various jobs, including the St Mary’s Rectory, Majeres Food Town, K-Products and various nursing homes. She also was a Foster Grandparent for Remsen Union and volunteered at Happy Siesta Nursing home in Remsen. Carol was currently a member at Christ Lutheran Church in Remsen. She was very active in the churches ladies aide and quilting. Carol was known for her oven fried chicken, her love of sewing, and collecting Care Bears. She also loved doing word searches. Carol loved family gatherings and was always looking forward to the next one. She is survived by her children: Connie (Pick) Rode of Kennewick, WA, Lanny and his wife Kristi Pick, of Rock Valley, IA, Sandy Pick of Sioux City, IA, Arlie and his wife Deb Pick of Remsen, IA, Kim (Pick) Mahrt of Norfolk, NE, Betty (Pick) Steenblock and her husband Boyd of Orange City, IA, Janet (Pick) Lammers of Sioux Center, IA, Margie (Pick) Kamstra and her husband Lee of Orange City, IA, Mary (Pick) Hacker and her husband Dave of Sioux City, IA, Russell Pick of Odessa, WA, and Andy and his wife Amanda Pick of Dakota Dunes, SD. She is also survived by 36 grandchildren and 28 great grandchildren. Carol is also survived by her sister Maureen and her husband Don Gettner of Mason City, IA, her brothers, Kenneth Wright of Remsen, IA and Wendel Wright of Daytona Beach, FL. Casket bearers will be Arlie, Lanny, Andy, Joseph, Alex and Alan Pick. Honorary bearers will be her grandkids. To send flowers or a remembrance gift to the family of Carol Rae Pick, please visit our Tribute Store. "Email Address" would like to share the life celebration of Carol Rae Pick. Click on the "link" to go to share a favorite memory or leave a condolence message for the family.